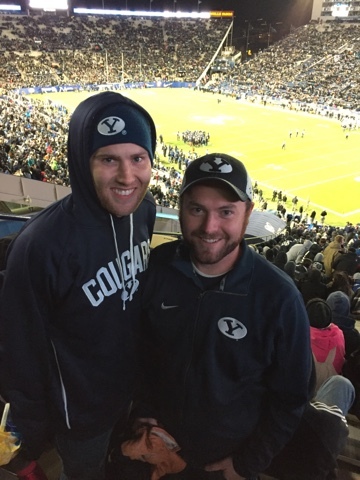 Somehow Rich convinced me to go to the last home football game against USU on Saturday night. 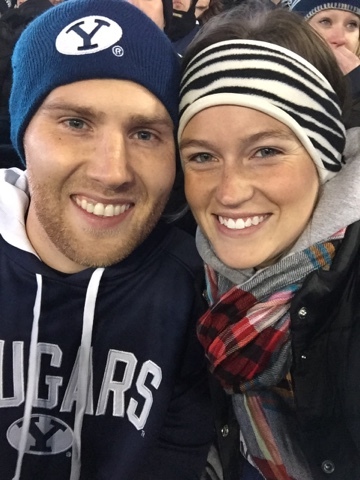 The game didn't start until 8:15pm and it was cold, but we survived and said a final goodbye to the LaVell Edwards Stadium. ^^Rich and Gordy had tickets together all season, we are so grateful for such great friends!